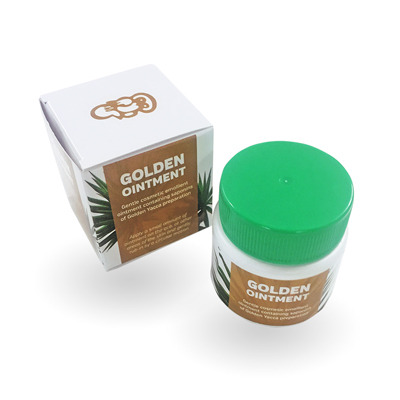 You cannot add "Golden Ointment" to the cart because the product is out of stock. is a pale, ochre-greenish ointment made exclusively from inorganic substances which guarantees that it doesn’t influence vital biological processes in the skin; it doesn’t irritate it, and doesn’t contain any allergens or metals. Safety data cards of all ingredients are available. Golden Ointment – cosmetic ointment was tested in compliance with EU regulations, registered in Brussels, and subject to evaluation by the European Commission. It possesses all necessary certifications. The ointment doesn’t contain any steroids, salicyl, tar, or salts. Store at room temperature. A higher temperature or direct sun impairs its quality. Magnificent items from you, man. I’ve bear in mind your stuff previous to and you are simply extremely great. I actually like what you’ve received here, certainly like what you are saying and the best way through which you say it. You’re making it enjoyable and you still take care of to keep it smart. I cant wait to learn much more from you. This is really a terrific site. A lot of of whatever you assert happens to be astonishingly appropriate and it makes me ponder the reason why I had not looked at this in this light before. Your piece really did switch the light on for me personally as far as this specific subject goes. But at this time there is 1 issue I am not too cozy with so whilst I attempt to reconcile that with the main idea of your issue, permit me see exactly what the rest of your readers have to say.Very well done. Attractive part of content. I just stumbled upon your site and in accession capital to claim that I get actually loved account your weblog posts. Anyway I will be subscribing to your feeds or even I fulfillment you get right of entry to constantly quickly. The best Ointment I had. I am looking to buy more , but it seems out of stock. When is going to be available again please?